Spring lingers just around the corner, and women throughout the United States are going through their closets, updating their wardrobes and searching for the perfect accessories to polish off their look. If you’re one of those women joining me in the search to find treasure for your jewelry box, I’ve discovered a few pieces for you to add to your collection. These earrings will add oceanic color to accentuate the white pieces in your wardrobe. 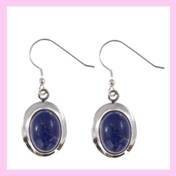 Made of sterling silver and Lapis, they translate from daytime to evening wear. This beautiful silver filigree pendant can be hung from a sleek silver chain, a choker or chord. 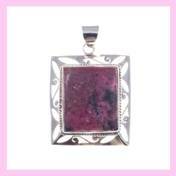 Buying pendants allows you to fit the necklace to your personal style. Cabochon stone jewelry is hot this season, especially in a variety of shapes. These rings will add that extra flare to your spring wardrobe. Set in exclusive West Coast Sterling Silver, they will become a lifetime piece for your collection. Love the filigree pendent, Fantastic colour.